GameStop is sending one of its customers to Texas to be mo-capped for an appearance in Borderlands 2 DLC. Psst. Hey, kid. Wanna be in a videogame? Then maybe it's time to go shopping at your local GameStop, not because I have any particular interest in where you buy your videogames but because a very cool contest is currently underway and all you have to do to enter is go there and buy the stuff you were going to buy anyway. 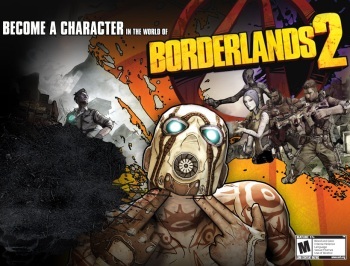 The winner of the contest will be given a trip for two to the Gearbox studio in Texas to meet the Borderlands 2 development team and be motion-captured for an appearance as an NPC in a future DLC release. The prize also includes accommodations for two nights, $500 in walking-around money and a whole bunch of Borderlands 2 swag. There are a couple catches, of course: If you want to play, you have to be a PowerUp Rewards member and you have to be at least 18 years old and live in the U.S. The contest runs until September 29, and you can enter up to 17 times per day by buying stuff, cooking off loyalty points or even taking the classic "no purchase necessary" route with a postcard and a stamp. (You do know what those are, right?) Full contest rules and other such relevant details can be had at poweruprewards.com. Borderlands 2, by the way, comes out on September 18 for the Xbox 360, PlayStation 3 and PC.